The present financial bubble that has now reached bursting point with a global ‘Financial Tsunami’ predicted very soon reminds me of a similar phenomenon that is happening with people’s health all over the world. About 40 years ago the chemical industry in their wisdom decided to dump pollutants such as PCBs into the air and water with little or no regulation. For years, the mantra of the industry was “the solution to pollution is dilution.” Mixing toxins with vast quantities of air and water was supposed to neutralise them. Many decades later, with our plagues of hermaphrodite frogs, poisoned ground water, and mysterious cancers, the mistake in that logic is plain. To add insult to injury, we now have the Japanese crisis at Fukushima’s nuclear reactors spewing radioactive Iodine-131, Cesium-135 and other radioactive heavy metals into the atmosphere and the oceans. This is not spreading across the globe slowly but surely. This is akin to the thinking of modern medicine – let’s ignore the amount of toxins that we dump in our bodies and simply look at the symptoms. 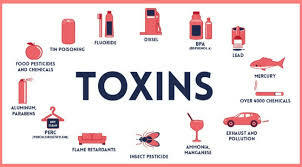 The fact that most of these symptoms are related to these toxins is neither here nor there – let’s simply repress the toxins by using more toxins which are called drugs. It is no surprise that the ‘bubble’ eventually bursts many years later into degenerative diseases as we push Nature to the edge. We believe that this time of economic depression has its good points – people begin to jump off the crazy consumerism bandwagon and begin to become more introspective, spend more time reading and educating themselves, as well as looking at all those ‘niggly’ symptoms that they have brushed under the carpet. So what is the prime message of this newsletter – first, that prevention is certainly wiser than cure – obvious, I hear you saying, but what does this entail. It is a fact, that even though everyone agrees with this wisdom, very few know how to really look after themselves in a preventative way. So let’s look at this in a little more detail. Maybe we can begin by asking, what is one of the primary causes of many of the degenerative diseases that our world faces today. Toxicity, in a nutshell is the answer! 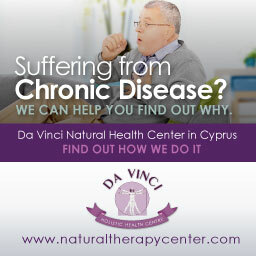 There are so many toxins that we are exposed to that it would take a whole book to describe them all and how they affect our health – let’s just take one example - mercury, which is a prime one as about 90% of people have amalgam fillings in their mouth that ‘leak’ mercury every time they chew as they are made up of 50% mercury. Indeed, if you chew gum with mercury amalgams you are likely to increase your blood and urine mercury concentrations by 200-300%. Mercury is listed as one of the top six most poisonous metals on earth! Mercury can also travel through the placenta into the baby, as well as being given in breast milk. Some time ago, mercury was placed into vaccinations that were given to children – this was accumulative and has now been linked to autism. There is no doubt that everyone is toxic with some heavy metals or other toxins, so detoxifying these is certainly a wise preventative measure. There are drug chelators that can remove some of these metals, but they tend to cause aggravations and remove the good minerals too. 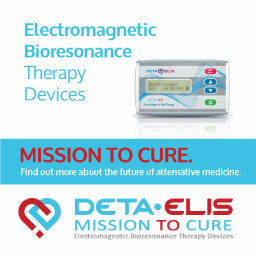 Natural chelators that have been scientifically tested are few and far between, but there is one that we personally know works well as it has been used it in clinical practice for a number of years now with excellent results. The product is called HMD® and the adult dosage is 45 drops x 3 daily, but one should always begin with lower dosages work up to the maximal dosage slowly by adding one drop per day. This should ideally be combined with a ‘drainage’ remedy to help the toxins leave the body through the kidneys and liver – HMD LAVAGE is such an organic herbal formula specially designed to be taken together with the HMD®. Finally, it is wise to take ORGANIC CHLORELLA (600 mg) tabs – two tabs x 2 times daily to help to mop up the mercury and other metals from the gut to prevent its reabsorption. 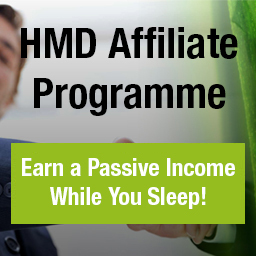 These three products are available with discount as the HMD ULTIMATE DETOX PACK. This is the other threat that we are presently being faced with – radioactive uranium from depleted uranium missiles used in wars, as well as the Fukushima nuclear power station crisis in Japan. 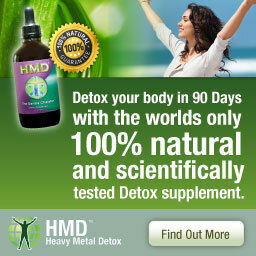 HMD® mentioned above has been found to chelate uranium-238, as well as many other heavy metals. However, with the threat of radioactive Iodine-131 one would also need to take Potassium iodide in the form of Lugol’s Iodine (5%). Probiotics are also essential as the normal ‘good’ bacteria in the gut play an important role in detoxification, especially for removing dangerous products of oestrogen metabolism. If allowed to stay in the system and recirculate, these oestrogen toxins (16-alpha hydroxyoestrone) can generate a number of cancer in both males and females. This may explain why women who use antibiotics have a higher incidence of breast cancer, since the antibiotics kill the good bacteria. A recent study presented by researchers from Bastyr University suggests some products that are supposed to contain beneficial bacteria (probiotics) do not contain viable bacteria or even worse, could be contaminated with other potentially harmful bacteria! According to this new report, laboratory testing of 20 randomly selected probiotic supplements revealed that only one product contained the same bacteria as those listed on the label. 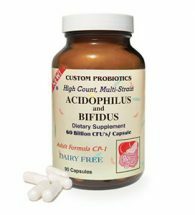 The one product was ACIDOPHILUS AND BIFIDUS. We all know that taking multivitamins is a good thing as recommended by researchers from Harvard Medical School and published in the Journal of the American Medical Association. Drs. Kathleen M. Fairfield and Robert H. Fletcher report that the elderly, those on restrictive diets and even people eating a normal diet, may not be getting enough of certain vitamins. For example, studies have shown that taking folic acid can help prevent certain birth defects, while others have suggested the vitamin might cut the risk of certain cancers and heart disease. Other vitamins, such as vitamin E, have been shown to decrease cancer risks, and vitamin D supplements are proven to reduce the risks of bone loss and fracture in the elderly. Fletcher and his colleagues reviewed studies published between 1966 and 2002 that pointed to links between vitamin intake and diseases such as cancer and coronary heart disease. Noting that vitamin deficiencies are linked to a wide range of illnesses, Fletcher commented that it’s rare to find a health-promoter that offers such a substantial benefit with a relatively low cost and low risk of problems, and when you have such a thing, he added, you ought to jump on it. Even those who follow what Fletcher called a super-perfect diet are unlikely to get enough of certain vitamins in their diets and would benefit from multivitamins, as well. There are lots of vitamins on the market, but knowing exactly what to buy is a science in itself. 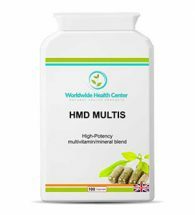 Personally I live a healthy, busy lifestyle and take a high-potency multivitamin and mineral formula called HMD MULTIS – it is what I call one of the ‘Rolls-Royces’ of supplement vitamins - one capsule x 3 times daily. It’s estimated that damaging free radicals bombard every cell of your body more than 10,000 times per day. This means that if your body doesn’t make enough antioxidant protectors, or you do not get enough from your diet, you put your body at risk for cell destruction, degenerative diseases, premature ageing and wrinkled skin. Antioxidants destroy free radicals, which, when left unchecked, can destroy your health. Free radicals are formed naturally in your body by normal metabolic processes. They’re also formed when the body is exposed to stress, pollution, chemicals, cigarette smoke, oxygen, radiation, alcohol, high fat foods, ozone, food additives, and fuel emissions. Simply put, a free radical is a highly unstable rogue oxygen molecule that has lost an electron and aggressively roams your body looking to steal an electron from a stable molecule. Free radicals are very unstable and highly energized. 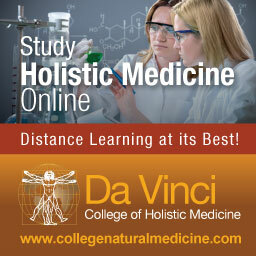 If too many free radicals increase beyond what the body can handle problems can occur. Free radicals bombard and enter your trillions of cells and destroy them. 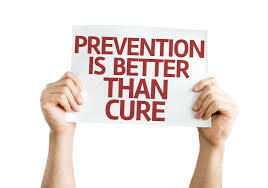 This means they destroy cells in your joints, bones, tissues, heart, brain, and every other vital organ in your body. 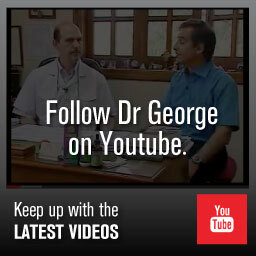 In short they can accelerate the aging of your body. Furthermore, free radicals also can damage your DNA, causing it to reproduce abnormally or to over produce harmful carcinogens. Free radicals are linked to such diseases as Alzheimer’s, arthritis, heart disease, stroke, cancer, cataracts, and many more. In fact, a study to be featured in our June newsletter has discovered that free radicals may cause the insulin resistance that leads to type 2 diabetes. Today scientists are continuing to discover new natural antioxidants that can neutralize the cell destroyers known as free radicals. Antioxidants do this by donating a missing electron to the free radical (making it stable once again) before it can damage your cells. Certain antioxidants also have the ability to reduce the free radicals’ energy, trap them, and interfere with their ability to destroy your cells. You could say that antioxidants are the martyrs of the supplement world, since they sacrifice their own molecular structure and life to protect and save your cells from being destroyed. 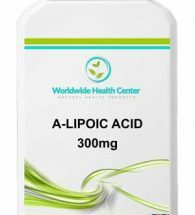 One of my favourite antioxidants is A-LIPOIC ACID as this is both a water and fat soluble antioxidant capable of penetrating and protecting the fatty parts of the body such as the brain and nervous system.